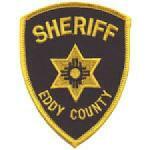 The Eddy County Sheriff’s Office has determined the cause of death of a Loving man found deceased Aug. 14 in a RV on his property to be homicide and is seeking the public’s assistance with information relating to the case. ECSO deputies were dispatched on the evening of Aug. 14 to a residence in the 2400 block of Mora Road in Loving in reference to a man found deceased inside a RV on the north side of the residence. The man was identified as 46-year-old Rey Corella of Loving. Corella’s death was considered suspicious at the time and is now being investigated as a homicide after the Office of the Medical Investigator determined the cause of death to be a single gunshot wound. A coworker of Corella’s found him unresponsive on the floor of the RV Aug. 14 after noticing his vehicle parked next to the trailer. ECSO detectives are conducting interviews and following up on possible leads. Anyone with information regarding suspect(s) potentially responsible is asked to contact the ECSO at 575-887-7551 and ask to speak to a detective or, to remain anonymous, Eddy County Crimestoppers at 575-887-1888, by texting the code word StopACrime plus the tip to CRIMES (274637), or through the Tipsoft link at cityofcarlsbadnm.com/police.cfm. Corella leaves behind a wife and four children.